One of the interesting things about Auckland is that it grew cycling mode share from 0% in 2003 to 1% in 2009 which is pretty close to cycling mode share in Metro Vancouver. 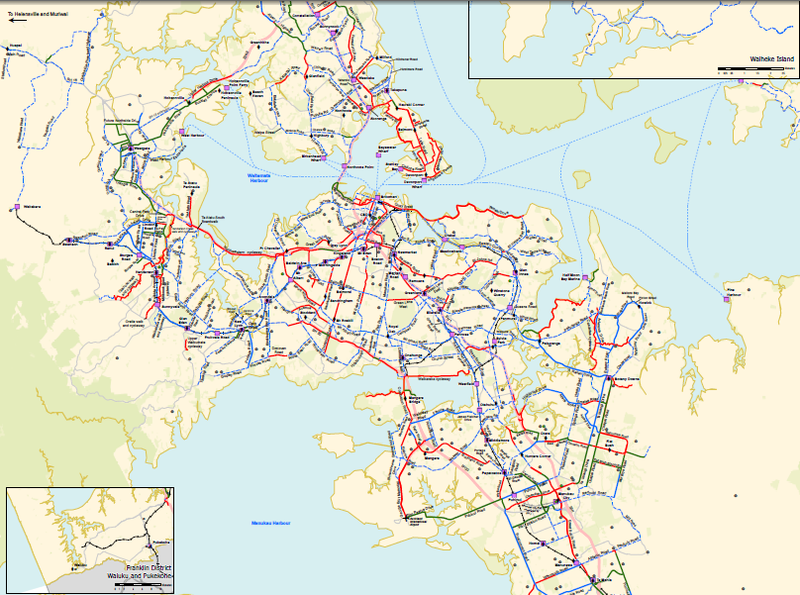 This is a really low number and Auckland has a plan to growth cycling by completing a 900km regional cycling network. 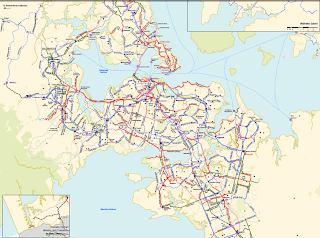 Auckland Transport in conjunction with Auckland Council and the New Zealand Transport Agency is working towards achieving the target in the Regional Land Transport Strategy 2010-2040 to build at least half of the regional cycle network by 2016 and to complete it by 2026. Red is the current cycle network. All other colours are proposed expansion to network.